That is so cool! 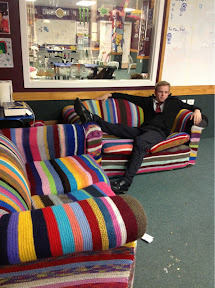 I never heard of anyone knitting a couch. Of course the puppy would have fun chewing it up.